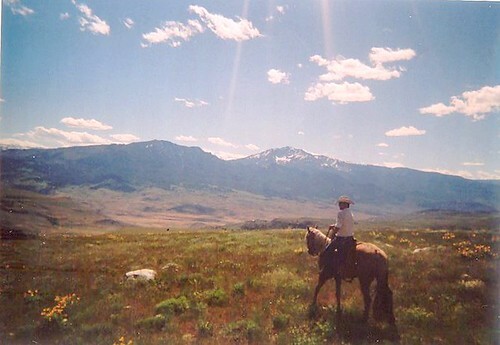 Live the dream; go horseback riding in Montana. Many people travel to Montana to experience the raw beauty of the land. They want to walk in the footsteps of Lewis and Clark and explore the mountains and valleys of Montana the way those great explorers did in the early 19th century – on horseback. Thanks to several excellent outfitters in western Montana, they can. JM Bar Outfitters leads summer Trail Rides east of Missoula along Rock Creek. Trail Rides can last as little as an hour, half a day, or all day. For more information, please see JM Bar Outfitters. White Mountain Outfitters leads Trail Rides out of Lolo Hot Springs. You may choose a short ride of one to two hours, a half day ride, or a full day trip. Overnight back country trips are also available. 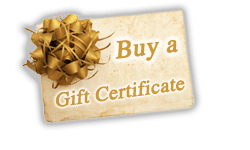 For more information, please see White Mountain Outfitters or Lolo Hot Springs. Dunrovin Ranch leads Trail Rides on gentle Tennessee Walking Horses. Folks may ride horses along the Bitterroot River and up into Lolo National Forest. They offer a variety of rides, including a Lewis & Clark ride that follows “the hoof prints of history.” For more information, please see Dunrovin Ranch. Once you’ve spent a day or two in the saddle, you’ll want to embrace the comfort and amenities of the 21st century at our Missoula Bed and Breakfast. You’ll gratefully slip into a bed of fine linens and snuggle under the weight of a down comforter. You’ll doze in your private jetted tub and enjoy the view of nature from the warmth of your room. In the morning, you’ll understand which is the most important word in the term Bed and Breakfast Missoula Montana as you tuck into a stack of huckleberry pancakes or a plate of steak and eggs. May is the perfect time to plan a summer Girlfriends Getaway at our Missoula Bed and Breakfast. Contact your best friends, coordinate your calendars, and select a weekend when you can all meet here in Missoula for fun and adventure. Go horseback riding with friends in the Lolo National Forest. 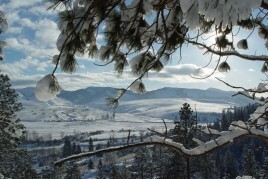 The Lolo National Forest is a mere few miles down the road from our Missoula Montana bed and breakfast. While the weather is definitely feeling cold out there, and the snows are on their way, there is still time for a well planned hike or two in the Lolo National Forest while you are staying with us. The Lolo Visitor Centers are filled with friendly and informative staff who can help you find the perfect hike for you – and of course, we always enjoy recommending our favorite trails. The Savenac Historic Tree Nursery is an interesting place to enjoy the outdoors without engaging in strenuous activity. It was a nursery for the forest service until the late 1960s, and the arboretum and visitor center there provide a fascinating glimpse into a part of National Forest history that few people stop to consider – the cultivation of trees. If you are in the mood for a strenuous hike, consider heading to the top of Lolo Peak. You’ll be rewarded with fantastic views and a hearty appetite to enjoy a fine meal back in Missoula (plus a warm soak in a tub at this Montana inn). Just be sure to check the weather, eat a good breakfast here before leaving, and be prepared for anything before embarking on this hike.